So I was browsing github earlier today, I noticed someone had a fork of rockbox on their github. I checked it out and noticed an app called infoNES. I thought, "That's strange, I thought rockbox didn't have an nes emulator." I downloaded the entire repository, but it refused to compile. 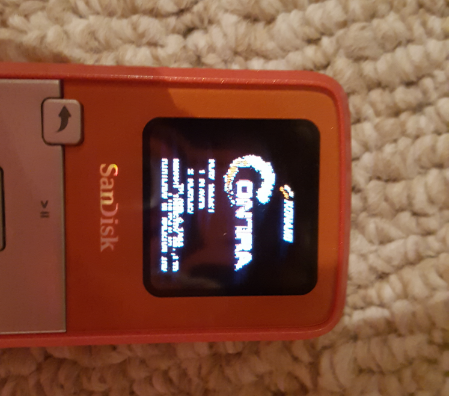 Eventually I decided to grab the latest rockbox version and add infoNES to the latest version myself. I compiled it and to my surprise, a working NES emulator was the result. Note to whoever wants to compile it themselves: I couldn't get the .rock to play on the version I got off of the official installer (Which confuses me because I compiled the latest version's source code). After copying the entire new .rockbox folder, it worked. The devs at rockbox should implement this into the main installer, so everyone can get this without compiling it themselves. For anyone who wants instructions on how to get/do this, shoot me a PM or wait until someone adds this to rockbox. I tested this on a new Sansa Clip Zip, and I can try it on an iPod 5g if necessary. EDIT: I realise now he has a profile here. Oops, I guess I didn't look hard enough . 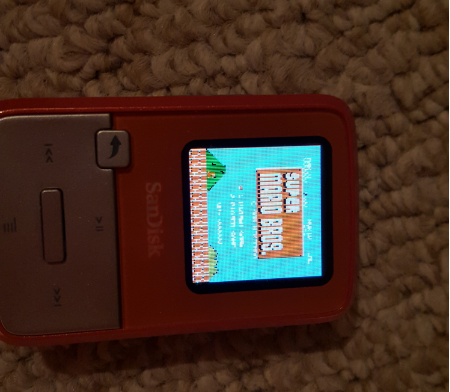 Just wondering, why isn't it in the rockbox installer? Looking at that link, it looks like people are still working on getting it working on various devices. Also, note that the repository is nearly two years out-of-date and contains much more than just InfoNES. Hey I'd love to get this working on my ipod classic but i have no idea how to even go about putting it on. Could anyone post a simple step by step guide on how to install this? Compiling this should be pretty easy if you are comfortable with compiling software from source. I fail to see what utility such an emulator would serve. Emulating a 64-bit CPU originally clocked at 100MHz and a 60MHz graphics coprocessor (in the case of the N64) in software on targets that don't even have half that clock rate is not going to be fun to play. This is fantastic, thanks for working on this. 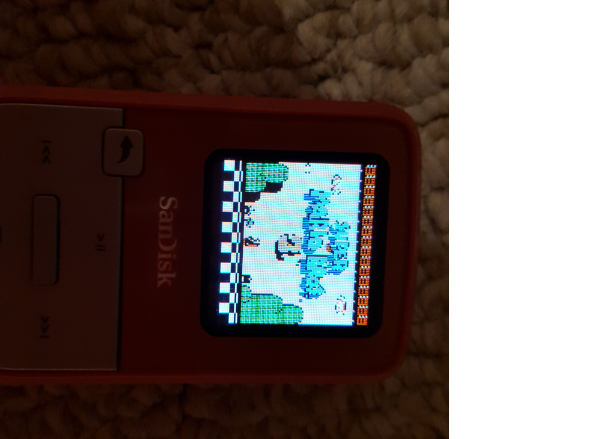 I never dreamed that I would be able to play NES games on my tiny Clip Zip, haha. I'm sure there's still a lot of work that needs to go into improving this plugin, but boy it would really round things out if the sound gets fixed.